This 2.1 set up is the perfect set of speakers for anyone that is looking to create a computer build or those that are looking to move past headphones and into a set that will accurately reproduce a wide variety of media, be it bass-heavy rap, crystal-clear dialogue, or a bevy of noises generated by a computer game. We were astonished at how well-built the Kratos S3 speakers were. While there has been a tendency for many speaker companies to use plastic and other cheaper elements to decrease the weight and cost of their products, the usage of wood here makes sure that these speakers can take any number of bumps without seeming the worse for wear. 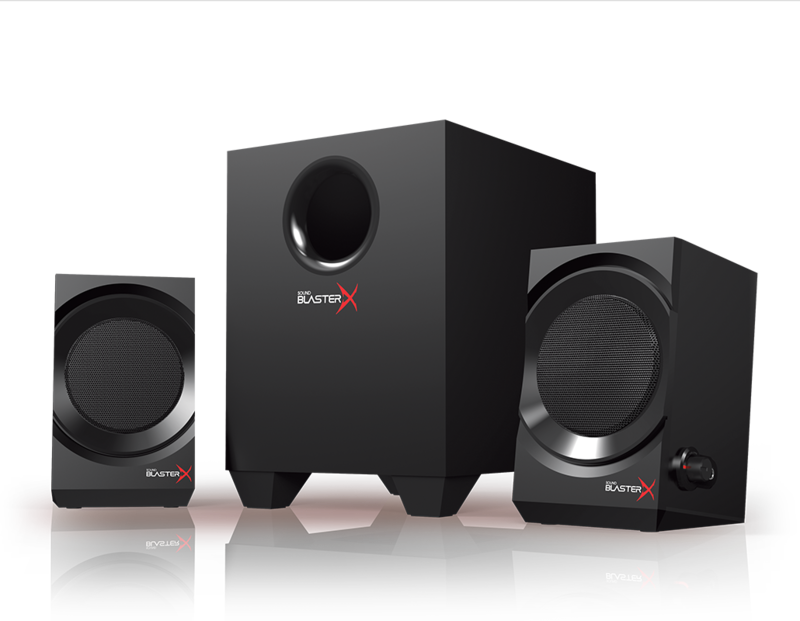 After being removed from their box, the Kratos S3 speakers can easily be assembled by individuals at a wide level of familiarity with computers. The small footprint of the speakers is deceptive; while the subwoofer and speakers can easily be placed on a corner of a desk, the loudness of these speakers is considerable. The subwoofer can create some room-shaking noise if ratcheted up properly; the satellite speakers’ design ensures that they do not compete (rather, they compliment) the subwoofer. Creative has also included a piece of software – the Acoustic Engine Lite – that allows purchasers the opportunity to set up the speakers for their specific audio needs. It is just a snap to move from an audio-heavy mix (e.g. podcasts) to various EQs best benefiting different styles of music. At $79.99, the set can easily be purchased as a holiday or birthday gift. For additional information about the entire array of Creative products, make sure to check out their main domain. The latest in news and information can be located at their social media profiles.